Two Muddy Award winning acts will supply a double header at The Trails End Saloon with the Thunder Brothers and Ben Rice. On the heels of their highly successful show at the venue in October, they were quickly booked again. Now, the Thunder Brothers will be celebrating the release of their eponymous titled EP and their recent Best New Act Muddy Award. 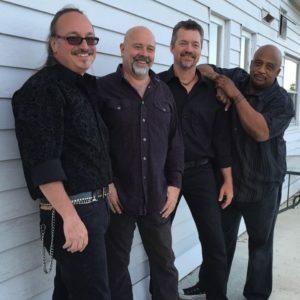 Michael Quinby, Doug Rowell, Timmer Blakely, and Edwin Coleman III are ready to tear up the stage and bring the crowd to their feet with their brand of power blues. Opening the night will be an acoustic set by Ben Rice, who also recently was awarded two Muddys for Best Traditional and Best Contemporary Blues Act. He’ll be going solo for this event, showcasing the guitar prowess that earned him the St Blues Guitar Award at the International Blues Challenge in 2015. The Trails End is located at 1320 Main Street in Oregon City. Show time starts at 8:30 pm with a $10.00 admission. 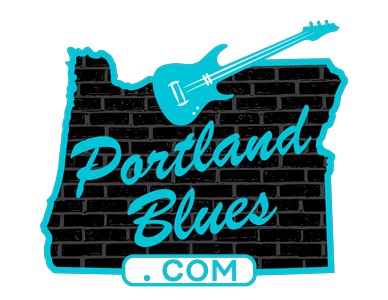 This is a Cascade Blues Association co-sponsored event, so be sure to show your current membership card at the door for a $1.00 discount.